You can contact us by e-mail at any time. We are a familiar Swiss agency, consisting of enthusiastic tourism experts. Specialised in the tourism industry, we advise you individually and target group-orientated on your destination, your product or your offer. You benefit from our knowledge to the Swiss market and from our large network in Switzerland. tourmark is a brand of railtour suisse sa, a leading provider of city breaks and one of the specialists of Switzerland's largest tour operator, DER Touristik Suisse/Kuoni. tourmark is an independent agency of the tour operator and you benefit from the possibility to market your product through the Brands railtour/Frantour. With passion, commitment and expertise, we support you with the appropriate advertising and communication measures to increase your level of awareness and sales in Switzerland. Why invest in the Swiss source market? 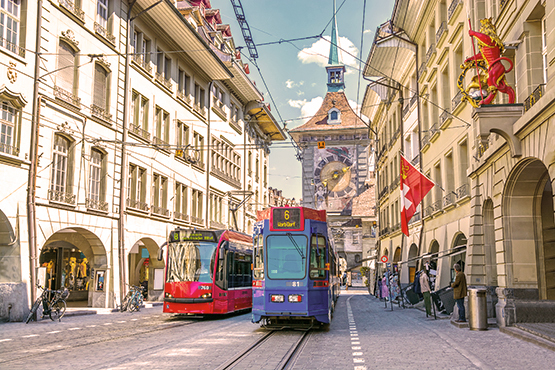 In 2017, the Swiss made around 24.9 million trips with at least one overnight stay. 16.7 million trips were abroad. This corresponds to 300% of foreign travel intensity, i.e. an average of 3 trips per inhabitant. This is one of the highest figures in a global comparison. railtour suisse has been an established tour operator in Switzerland for more than 40 years and specialises in tourist rail and city trips in Europe. The product portfolio includes both individual and group tours, which are marketed under the railtour and Frantour brands.